This survey shows the results of a survey among respondents with a gay, lesbian, bisexual or other sexual orientation on the separation of marriage and Civil Partnership. The survey was conducted in 2012 in the United Kingdom. 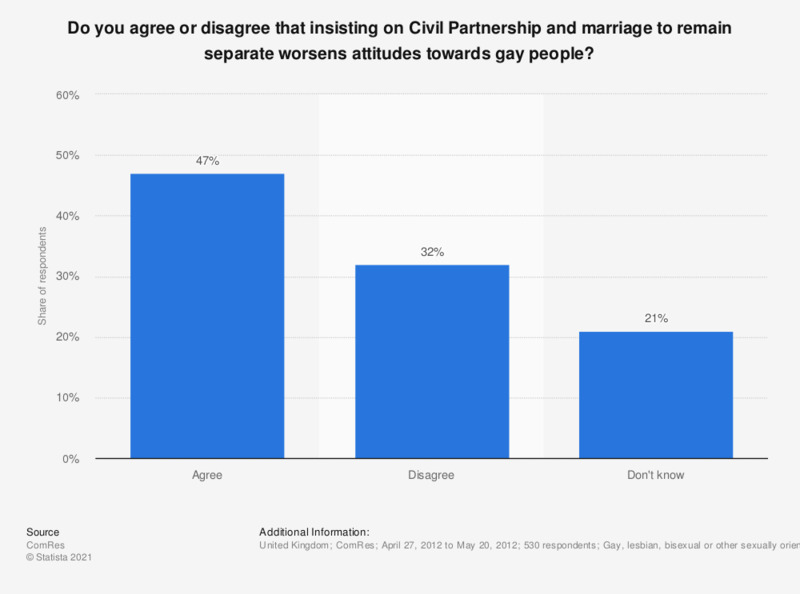 47 percent of the respondents thought that insisting on a separation and distinction of marriage and Civil Partnership worsens the attitudes towards gay people. The source poses the question as follows: "Insisting that Civil Partnership and marriage remain separate and distinct worsens public attitudes towards gay people." The source does not provide information on the age of the respondents.